Malaysia is home to some of the largest world class shopping mall in the world. Ranging from to a number of high end shopping malls to low end flea markets all over the country. There's something for all travelers to keep happy their desires, may it be designer labels, local indie brands, and local art works. Malaysia shopping sight is also well recognized for its shopping sales throughout the year. Travelers can also look forward to the duty free items that can be found and what makes it better, is the Tourist Refund Scheme (TRS) that is available for tourists. If you love shopping then you will enjoy shopping in Malaysia. 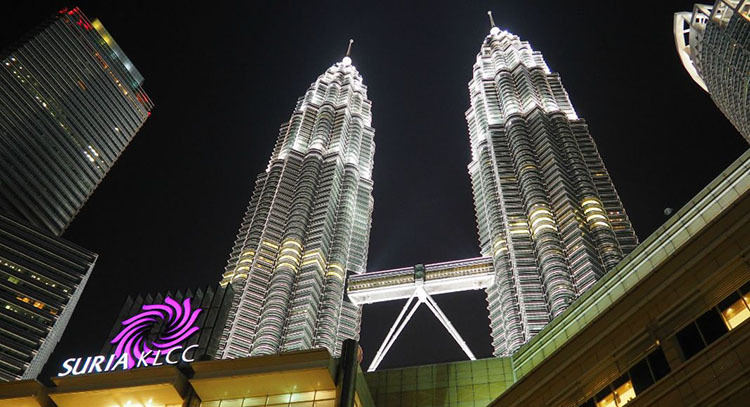 If any tourists have fond of shopping he or she will be suggested going to Suria KLCC shopping centre. This shopping centre is an exploring six storey building at the foot of the PETRONAS Twin Towers in Kuala Lumpur city. It established in 1999. From its establishment it introduces a new level of style to the city with its different fashion of stores collection. Then there is the fact that it is so close to KLCC Park and the KL Convention Centre. Despite its modern design, Suria KLCC features little touches reminiscent of classic European malls, including plenty of greenery, white geometric-patterned marble floors, with exposed glass panels that let in natural light. Whilst some stores have high ceilings and huge arches along with impressive columns, others have low ceilings and no arches but plenty of their own stylish charm. It is much more exciting for tourists that Suria KLCC is not only a shopping mall but also a collection of tourists’ pleasure spots like Aquaria KLCC and Petrosains, an oceanarium and science discovery centre respectively. Suria KLCC also includes Ampang Mall, Park Mall and the new Ramlee Mall. With great options for up market shopping, anchor tenants at Suria KLCC include major department stores such as a five-storey Isetan, Parkson Grand and Marks & Spencer. Additionally there is a Cold Storage Supermarket and a 12-screen movie theatre (the biggest Tanjong Golden Village outlet in the country). Within the anchor department stores are outlets for luxury labels and fashion houses. Isetan hosts more upscale brands such as Calvin Klein, Christian Dior and Ralph Lauren, while locally incorporated international retailer Parkson Grand has a more down-to-earth collection of mid-range stores such as Pierre Cardin, Sisley, Timberland and United Colors of Benetton. Besides that, the mall is home to the Dewan Filharmonik Orkestra (Malaysia’s first concert hall) and the Petronas Art Gallery. Suria KLCC houses over 320 well known local and international retailers. Popular brands available at the mall include Balenciaga, banana republic, DKNY, Jimmy Choo, Louis Vuitton, Marc Jacobs, Miu Miu, Coach, Versace, and Kate Spade. For a tourist Pavillion Kuala Lumpur is a fantastic shopping mall. It inaugurated in 2007 at Kuala Lumpur just besides Jalan Bukit Bintang. It takes a lot to stand out in the city’s mallscape. A retail mall, an office block and two residential towers are the major sections of this shopping mall. At the main entrance of Pavilion Kuala Lumpur is the tallest Liuli Crystal fountain in Malaysia, the Pavilion Crystal Fountain. Billed as a national landmark, just like Rome’s Trevi Fountain you can toss in your loose change to make a wish: coins are later donated to charity. Keeping the city’s fashionistas looking polished, this KL staple is the perfect example of how extravagant some malls can be. It features almost the same staggering square footage as Mid Valley Megamall and 1 Utama and the 1.37 million-sqft white marble complex is a combination of indoor and outdoor shopping venues. It looks like an oversized Grecian temple with post modern pillars. It houses over 450 snazzy stores. With hip dining options, big-box retailers and access to both international designer labels and local specialty retailers. It has the seven-storey lifestyle centre, six shopping zones and a row of street boutiques. Here also includes Singaporean department store Parkson Grand which spans three stories. 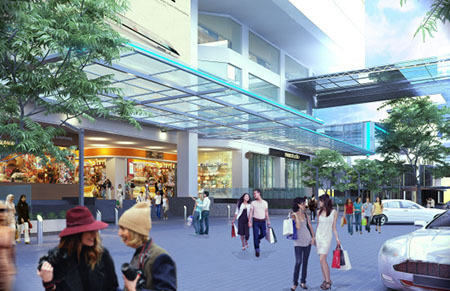 Other expected, fully stocked anchor shops include Mercato Supermarket and Harvey Norman as well. At Pavilion KL Malaysian fashion brands like Jimmy Choo can be found alongside big-ticket European luxury retailers such as Coach, Diane Von Furstenberg, Dolce & Gabbana, Juicy Couture, MaxMara, Versace and Yves Saint Laurent. High-end browsing takes place at Couture Pavilion where up market, international fashion outposts (a majority of them occupying double-storey street front lots) like Michael Kors and Marc by Marc Jacobs are at. Meanwhile inside Pavilion KL are lower-priced, mid-market international and local brands such as Forever 21, Pull & Bear, MNG Mango and Salabianca. Located in Bandar Sunway, Subang Jaya Sunway Pyramid is the one and only themed shopping centers in Malaysia. It covers an area of 1.7 million square feet and it is one of the largest shopping centers in the country. One of Malaysia's most elaborate mall, with an Egyptian design of a gigantic sphinx and a pyramid shaped complex, pseudo-hieroglyphics decorating its outdoor portico and abundant faux-pharaoh statues. This shopping center offers a wide range of items suitable for all ages and styles. Lots of big named brand’s stores can be found here in the shopping centre. Low Yat Plaza is a well-established commercial shopping centre which is famous for its selling of world class IT and Electronic products. The city is number one destination for shopper looking to buy gadgets and gizmos. The 12 storey mall is divided into a series of interconnected stores surrounding the main concourse. Each floor is dedicated to stores occupying retail spaces from small-time ventures and large scale shop lots. With all the specialty shops, the products are competitively priced. The products that are sold there can be negotiable to customers. Most of world class electronic company such as Sony, Microsoft, Asus, Dell and Nikon has their shop opened in the shopping. Looking for a rare and collectables items, Then you should visit the Amcorp Mall as it is one of the best places to find rare items and collectables. The mall consists of stalls that have been set up from the lower ground floor to the top floor of the mall by more than 300 traders, selling all sorts of collectables. The items price range depending on the item's age. The older the item is, the rarer and "Hipster" it is, making the item more costly. The weekly event is not only for collectors to forage for items, but also for visitors to share interest and enjoy the vibe at the mall. Amcorp Mall has become a famous center for hipster people looking to share and explore the beautiful world of antique. It is another amazing shopping mall for family tourists. It has been decorated, design and organized as shoppers’ dream from adult to kids comes true here. There are more than 4 malls within one km radius of each other. It has particularly come into its own in the area of retails therapy. Located approximately 20km from the Kuala Lumpur city centre, Subang Jaya is a self-contained hub of higher education institutions, eateries, independent retail stores, and houses many interesting activities one can enjoy with a group of close-knit friends and family. Subang Jaya also houses an abundance of excellent eateries, each offering a unique gastronomic experience. Shoppers will rejoice in the number of shopping complexes that can be found Subang Jaya, including Empire Shopping Gallery and One City. Perfectly catering to night owls and those who are craving a pint, Subang Jaya offers a satisfying number of restobars and coffee joints that are open past midnight. There is something for everyone to enjoy in this bustling township, so experience the best of Subang Jaya with our list of Top 10 attractions, eateries, shopping outlets, and nightspots. Malaysia is well known to be host for a number of international exciting events. Entertainment events are held throughout the year in Malaysia. From highly expected rock and roll concerts to sports events. The entertainment scene in Malaysia is one of the things that tourist should be looking forward to. For tourists it is fantastic matter that Formula 1 or also commonly branded as F1 is the highest class of single-seat auto racing that is sanctioned by the Federation International de l Automobile (FIA) and is held all over the world. Malaysia is the host for the Malaysian Grand Prix, held at the Sepang International Circuit every year. People from all over the world come to witness one of the most status race events here in Malaysia to satisfy their thrust for fast moving race car event. MotoGp is one of the best popular sport events for tourists. The Sepang International Circuit is not only the for the Formula 1 Malaysian Grand Prix, but also host to the Malaysian MotoGP Grand Prix. One of the top motorcycling events held where riders race on 800 to 1000cc super bikes. Tourists should not miss the MotoGP event. Rock and roll fans should miss the chance of a lifetime to witness the one of the best rock and roll events to be held in Malaysia, the Rockaway Festival. This is the event where local and international bands come to act upon. Music such as punk rock, metal, and heavy metal will surely be the place for rock and roll enthusiast. From shredding guitar riffs to explosive drums and edgy vocals, this event will blow your minds off. The event have all the ingredients to fulfill a true rock and roll fans. The Music Run is a unique running event in Malaysia where running is accompanied by music. The Music Run is an event where participants run a 5-kilometre course at night. The catch is, there will be music played throughout the run based on the tracks that have been chosen by the participants. The best part, there will be a music festival waiting for them at the end of the course. Participants can forget about their tiredness and enjoy the night away to good music and good feelings. The accelerating feeling one get from running and the good feeling music mixture makes an exceptional experience for participant. Good Vibes Festival is one of the best music festivals in Malaysia. This event reflects directly to its name. The concert goers can enjoy and dance to some of the best music performances from local and international artists. With the sun out, all you have to do is kickback, have a cold drink in your hand, relax and immerse in the good vibes all around you. Truly Fun and entertainment is the core attraction of the Good Vibes Festival.